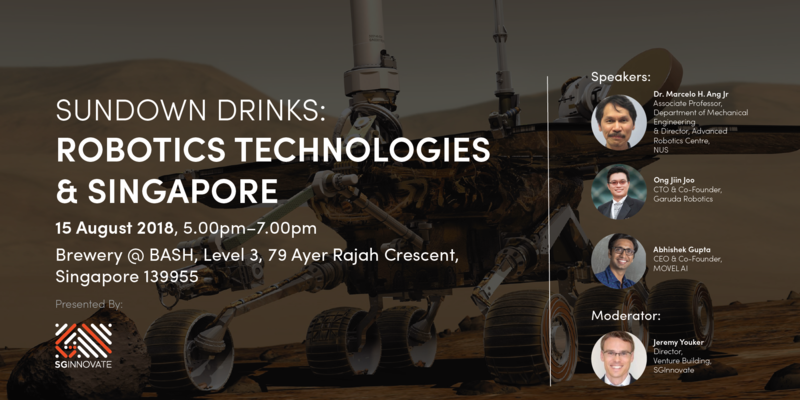 Sundown Drinks: Robotics Technologies & Singapore! Singapore is the second densest country with robots, having 488 robots per 10,000 employees. Coupled with abundant technical talent from engineers to computer scientists and S$19 billion committed in R&D over five years, the country is primed to take the lead as a springboard for robotics technologies. 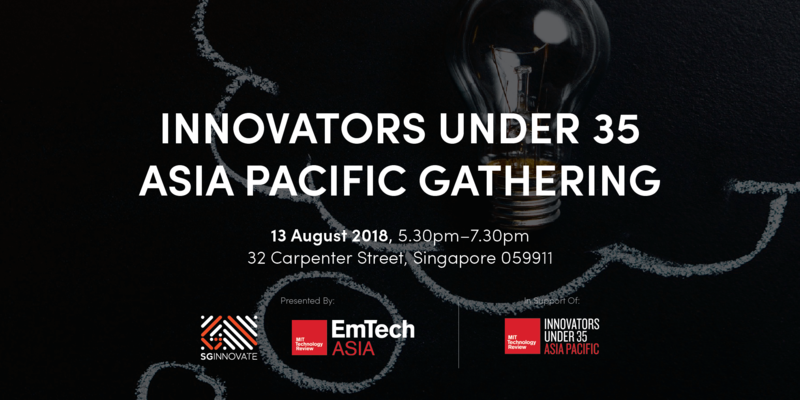 After five editions Innovators Under 35 Asia Pacific is back in Singapore to showcase the work of the most remarkable entrepreneurs and researchers from Southeast Asia, Australia, New Zealand, Hong Kong SAR and Taiwan. Since its creation in 2014, the Asia Pacific community has been growing exponentially, always pursuing the same objective: to award innovation, ingenuity, and advances towards addressing the world’s most pressing challenges. As we call for nominations for the 2019 class of young innovators, let us celebrate innovation and entrepreneurship with an inspiring talk by visionary mixed reality pioneer and Innovators Under 35 Asia Pacific judge, Prof Adrian David Cheok. Come to this gathering and find out more on how you can be nominated or nominate others for this prestigious award. The Sustainable Development Goals (SDGs), otherwise known as the Global Goals, are a universal call to action to end poverty, protect the planet and ensure that all people enjoy peace and prosperity. 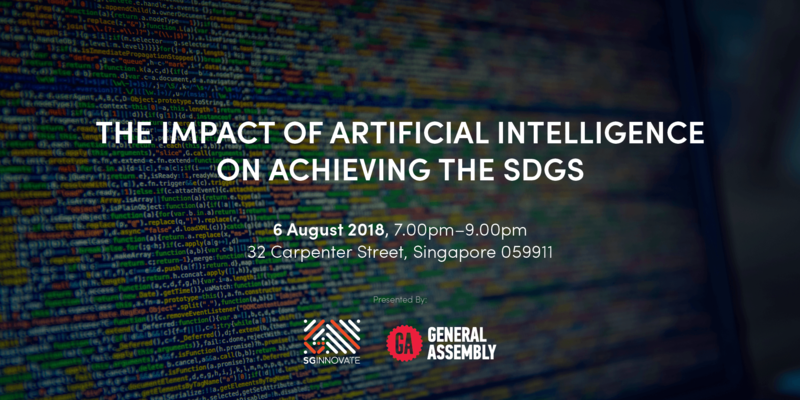 Join us for this event and learn from the panel of experts how artificial intelligence can help to solve global challenges. 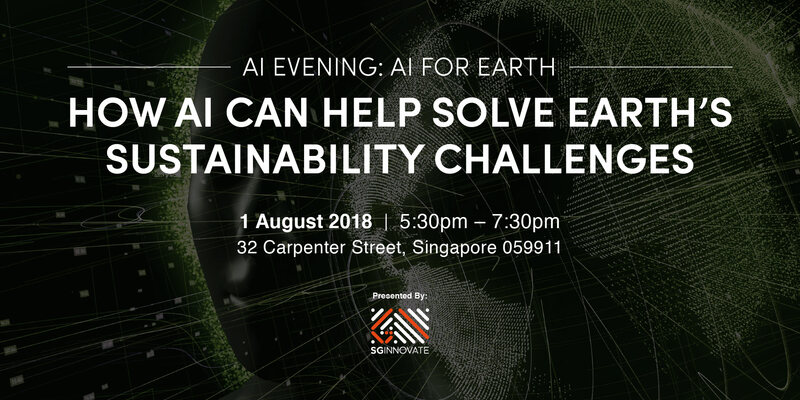 AI for Earth has one simple but huge ambition – to fundamentally transform the way one monitors, models and manages Earth’s natural resources using AI. At the same time, deep learning innovations and breakthrough are happening both in academia and industry at a breathtaking pace. By leveraging these AI innovations, and breakthroughs, many AI for Earth grantees have been using AI to solve many of earth’s toughest challenges - ranging from precision agriculture, precision conservation to understanding and protecting biodiversity, and more. 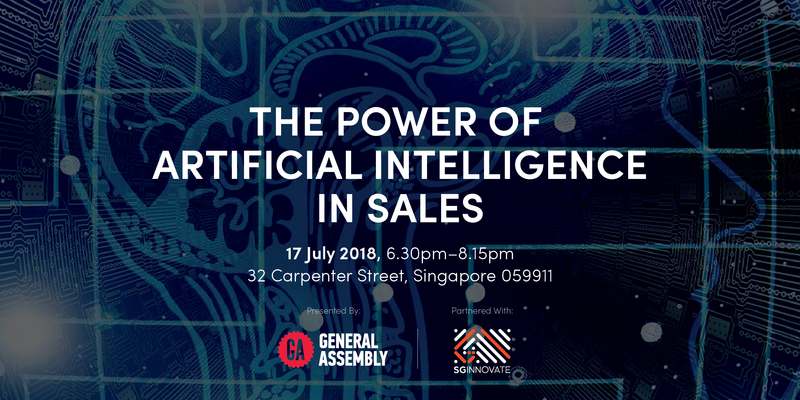 Join GA for a talk on how to get actionable insights about how businesses benefit and grow by creating personalised experiences for their customers using data and machine learning. 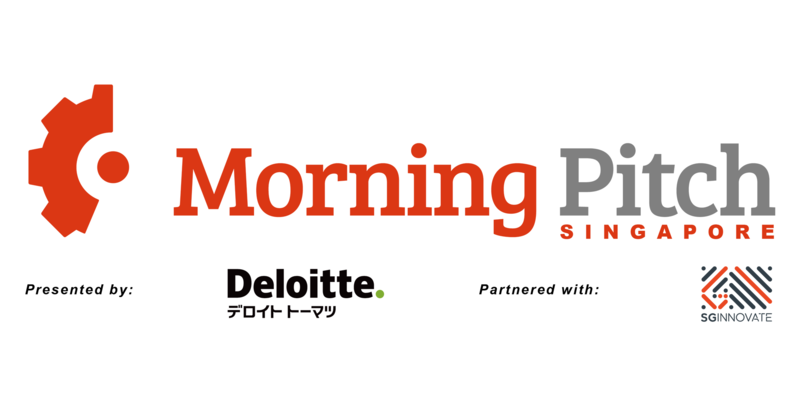 Morning Pitch is a pitching platform hosted by Deloitte Tohmatsu Venture Support. This platform helps start-ups form business alliances and partnerships with large corporations, corporate venture capital and venture capital firms. 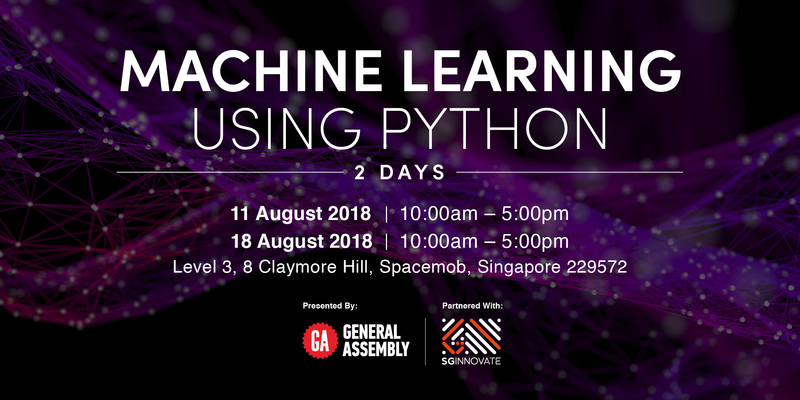 The focus on this Morning Pitch on 13 July 2018 is AI. Cloud and AI, are changing the way the world works and solving challenges across every major industry. But, there are still so many questions that governments, businesses and the tech community need to consider to elevate these technologies to their full potential. 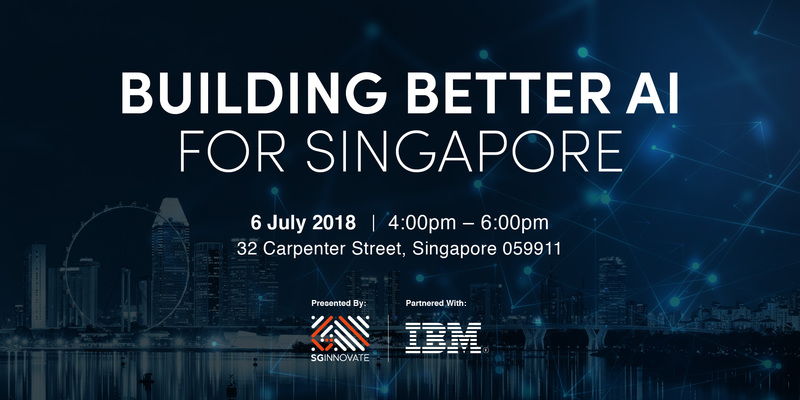 Come join our industry experts as we discuss how corporates and startups can collaborate to address these gaps while accelerating the adoption of AI in Singapore. You will also get to hear more about IBM Watson Build 2018, a global challenge to help disrupters fast track their AI build with IBM Watson and Cloud. 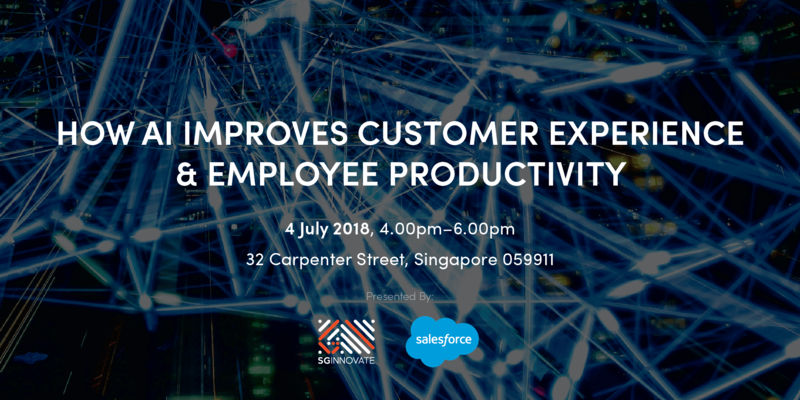 Join our workshop for corporates, on How AI Improves Customer Experience and Employee Productivity, for insights on how AI-powered chatbots, when connected to deep customer data, can deliver powerful new customer service experiences and help service organisations scale at a low cost. 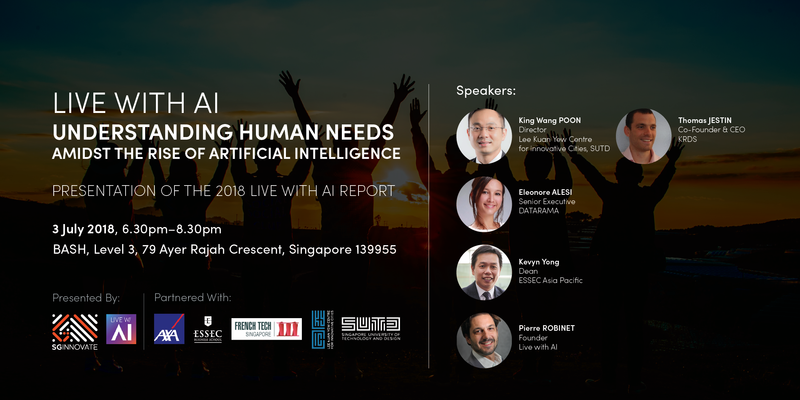 Live with AI’s key board members will present their research on the positive impact AI will bring to our society and business and highlight key recommendations to better live with AI. 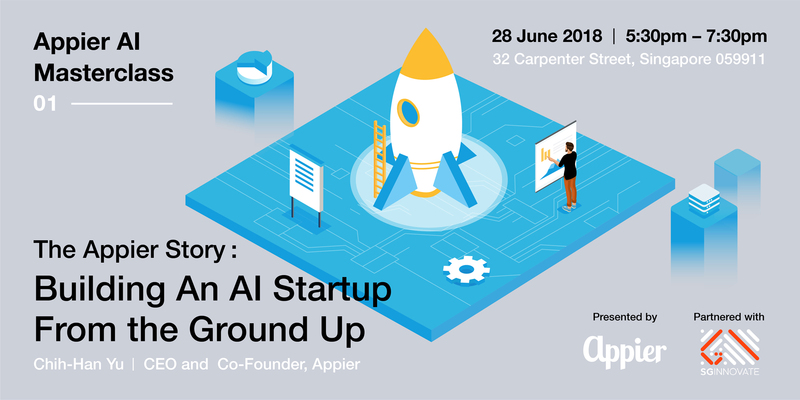 At this first Appier AI Masterclass, Appier’s CEO and Co-Founder Chih-han Yu will share his own journey in AI and how together with a few friends, they decided to start a company to realise their vision for how AI can contribute to society.